So, here's the deal - Village Cinemas is holding a Food Truck Festival at the Coburg Drive-In (155 Newlands Road, Coburg, VIC). We visited on 30 July, and there will be two more: the next one is on 27 August, and the final one will be on 24 September. Book any session at the Drive-In on those days, and you get access to the food trucks (different trucks each time) and of course can go and watch your film. It was funny though, when we pulled up and got my name ticked off on the "invited media" list, the lady at the gate handed us the food vouchers and then was like: "Oh wait, did you want to see a film as well tonight?" Answer: OHMYGOD YES HERCULES HERCULES! There seemed to be quite a few media and bloggery-types invited that night, wandering around with big cameras, and I think perhaps a lot of them just wanted to get in, see and experience the food trucks so they could write about them, and then get out. That's totally cool of course, but, you know, HERCULES. 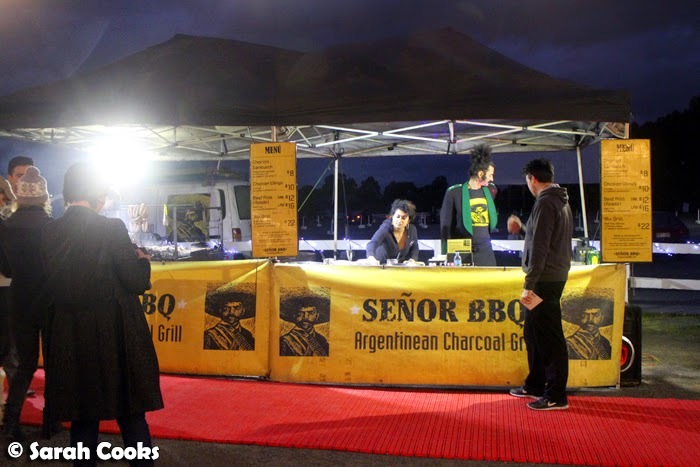 I got some beef ribs from Argentinian BBQ truck Señor BBQ, and really liked them! 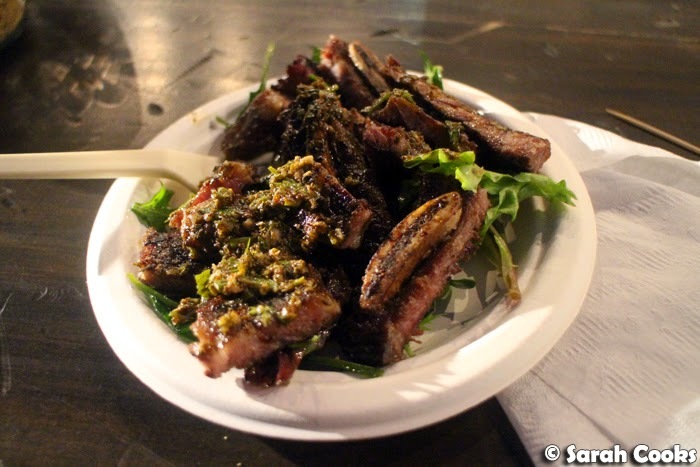 The meat was toothsome but tender, and the chimichurri sauce added a nice hit of saltiness and great herby flavours. 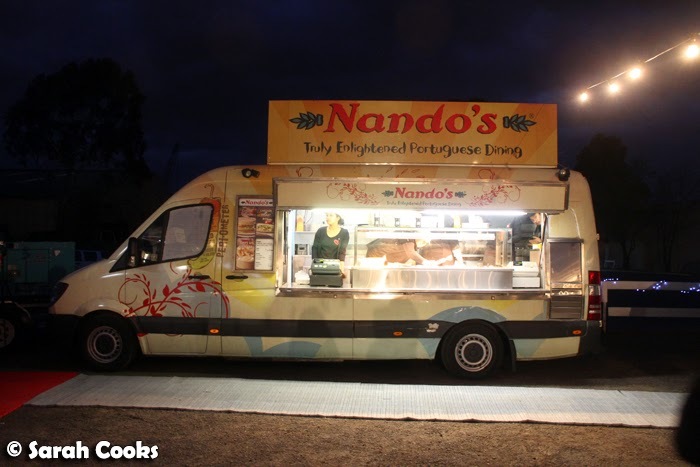 D-Slam also loves Nando's, and got a classic chicken wrap and peri-peri chips. They were one of the better organised trucks there, with a lot of the wraps pre-prepared so they could hand them out quickly. (FYI they still tasted fresh - she let me try some so I could "review it accurately for the blog". Haha, I've trained my friends well). Pro: quick turnaround time and management of queues. Con: limited selection. They only had mild or hot basting, so those of us who like lemon and herb or extra hot were out of luck. 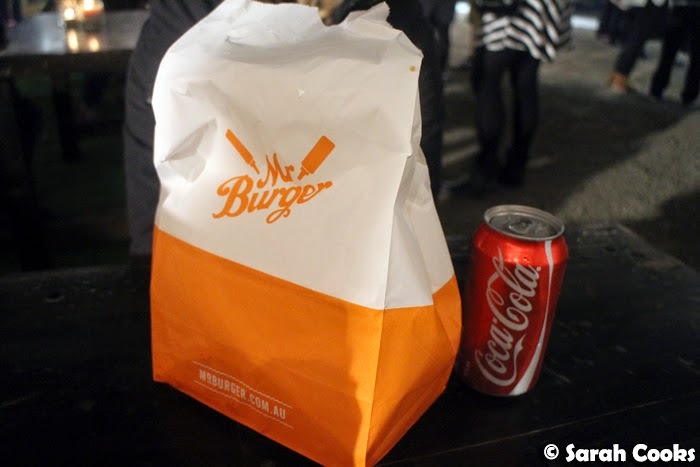 Sandra and D-Slam's man both got burgers from Mr Burger. The burgers were good, but wow, they were really, really slow. They both placed their order early, when there weren't any queues, and it still took half an hour for the burgers to be made. D-Slam and I ordered our meals at the same time and had finished them before the burgers even came out. It would have been even worse for those people who got there later, had to queue for ages and then wait for the burgers to be made! 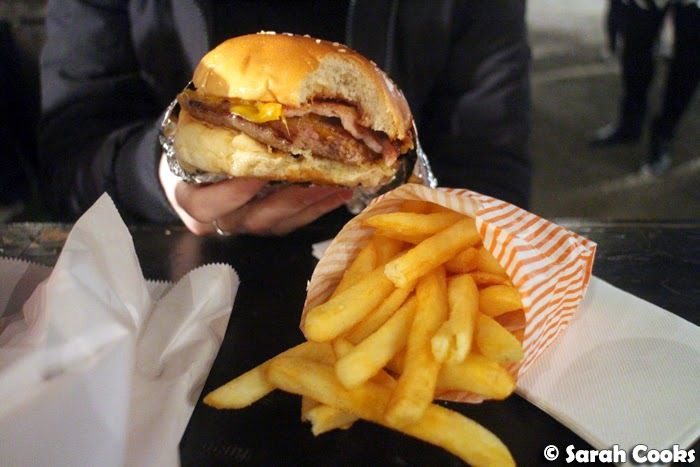 Not sure what the deal was, but hopefully it was just a once off, because the burgers and chips were very good. 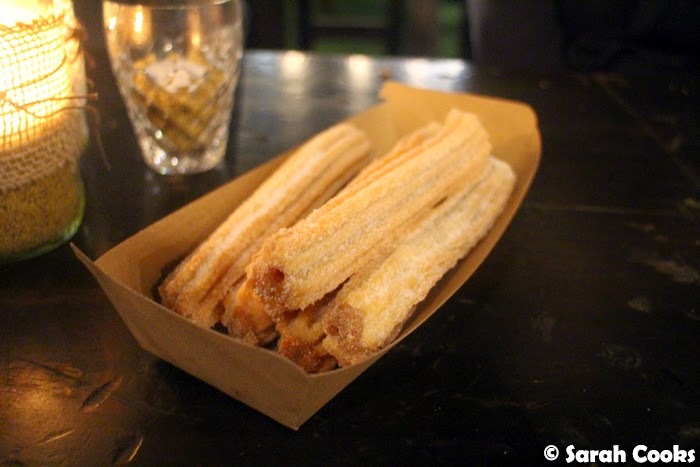 We also got some churros to share from Señor Churro - they were filled the dulce de leche, crunchy, hot, dusted with crunchy sugar and totally delicious! 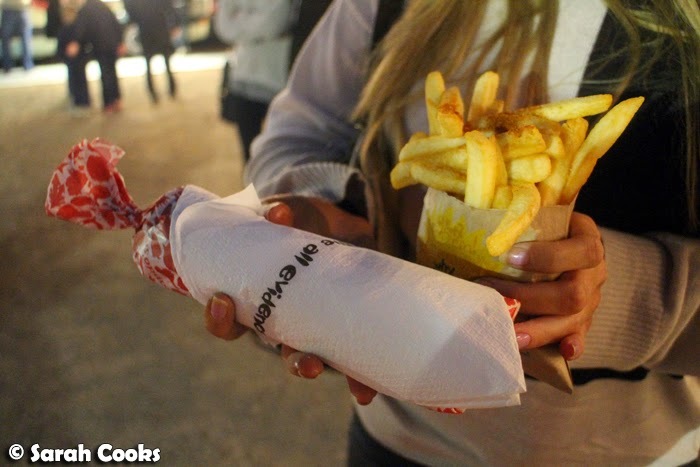 So that was our experience of the food trucks! We had a lot of fun, and it was cool that there was a variety of trucks on offer so everyone could order something they wanted. 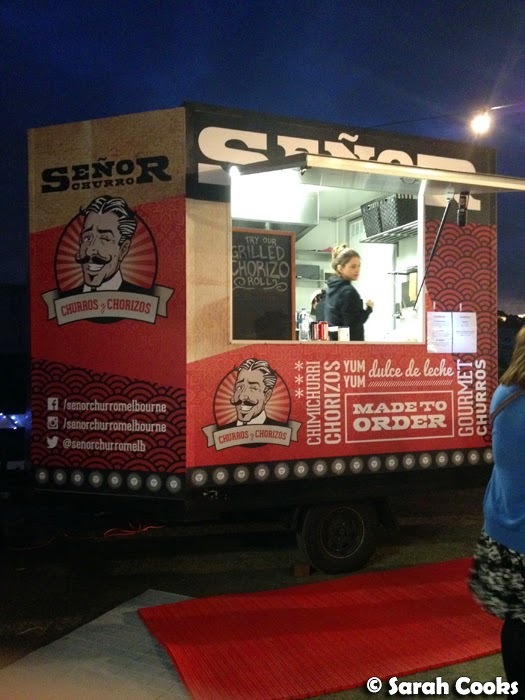 (In addition to Señor Churro, Nando's, Mr Burger and Señor BBQ, there was also Nem n' Nem and Iv's Burritos - check the website to see which trucks will be at the next festival). It's important to note, however, that the queues did build up after a while (and as I said above, Mister Burger was really slow despite there not being a queue when we placed our order) - so if you're interested in visiting the food trucks and seeing a film, my suggestion would be to get there early like we did. Gates open at 5:30 and we got there around 5:45, which gave us heaps of time to get our tickets, park our car in a good spot in front of the screen, order and eat our food, buy some popcorn and malteasers at the diner / Candy Bar (N.B. we paid for these ourselves), and be all settled in before the film started at 7. I'm really into movies - I majored in cinema studies at uni and happened to work at both major cinema chains at different times back in my uni days - and had never been to the Coburg Drive-In before, so was really interested to see what the experience would be like. For anyone else similarly curious, Coburg has three screens, and here's what the cinema looks like. I wasn't expecting the picture or sound quality to be that good, and was pleasantly surprised to find that they were on par with a conventional cinema. You tune your car radio into the frequency provided to hear the film. D-Slam has a convertible, so we all dressed warmly (puffy jackets, gloves, beanies) and loaded up the car with blankets as well as our snacks and drinks and hunkered down for the film. The important question: was the film any good? Well, we still love The Rock, but let's just say it wasn't his best film. It was fun to watch, but unlike Dwayne's ridiculous shoulders and biceps, the storyline was pretty weak. 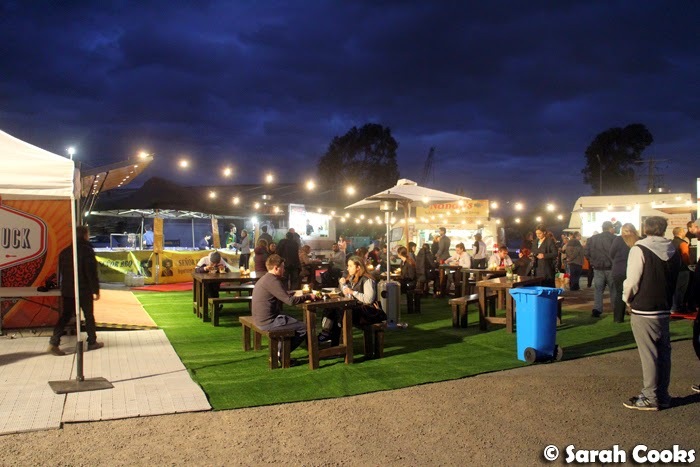 The Coburg Drive-In Food Truck Festival will be running again on 27 August and 24 September, with rotating food trucks. Tickets are $17.50 each, or $40 for a carload (up to five people). Details available at the Village Cinemas website. Sarah and friends received free movie tickets and food tokens courtesy of Village Cinemas and Twenty3 Group. Sounds like such a fun event! And I laughed listening to your excitement over HERCULESHERCULES!! 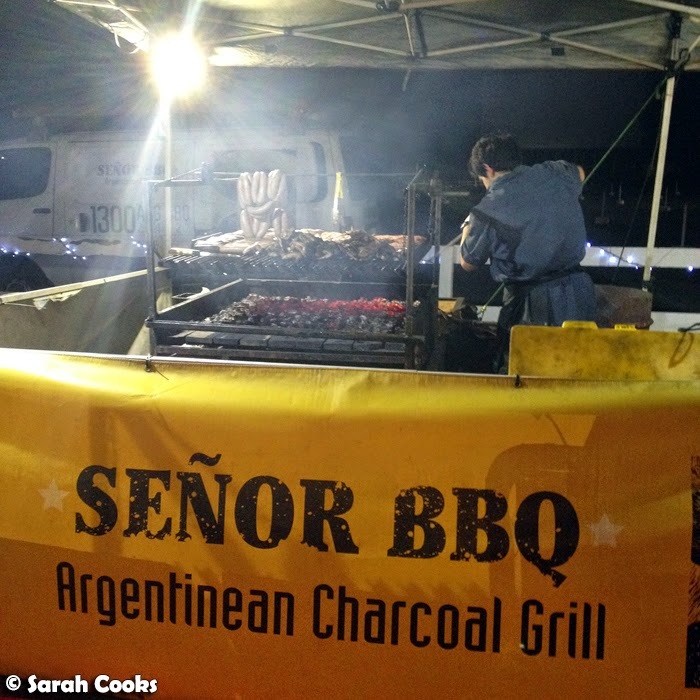 Senor BBQ looks fab, love a good Argentinian grill. And omg been years since i've had Nandos... shall rectify! 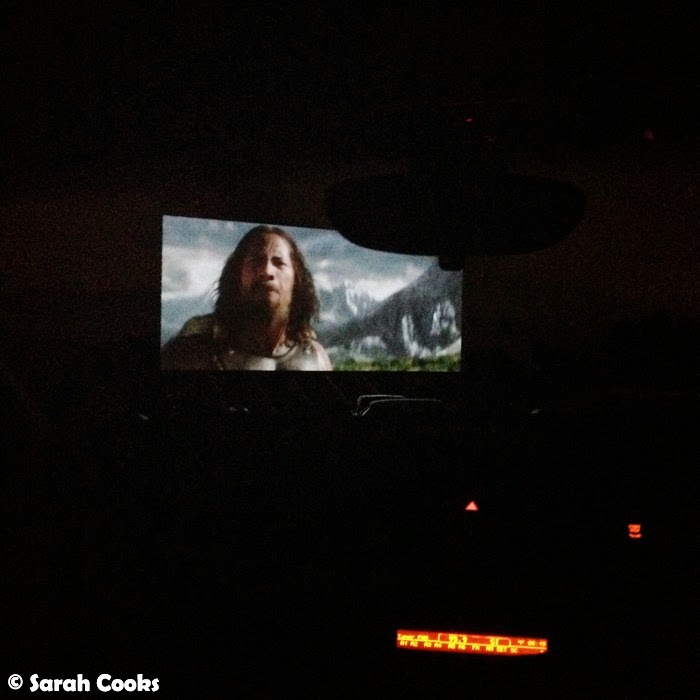 I love drive-in cinemas! 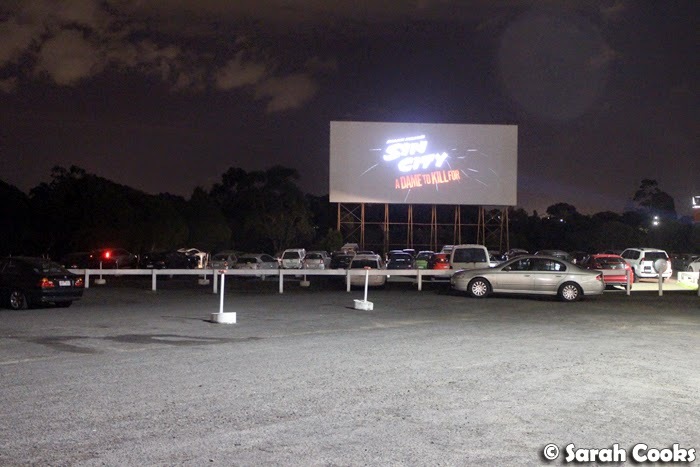 I used to go to the Lunar Drivein in Dandenong all the time, and I've been to the Blacktown one here in Sydney a few times too. P.S. I saw the Rock when he came to Sydney for the Hercules premiere! 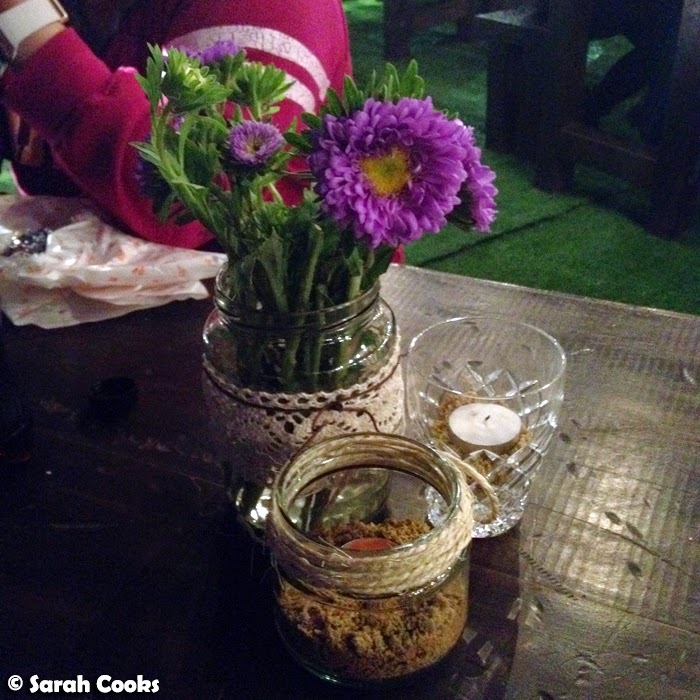 Prix Fixe - "An English Midwinter"